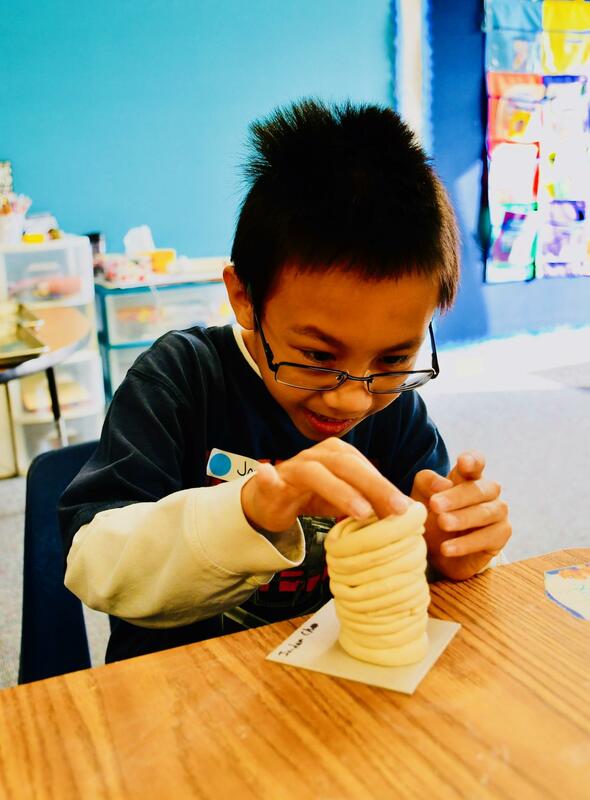 DIAMOND BAR, CA—History lessons jumped out of textbooks as Castle Rock Elementary third graders experienced the food, games, and culture of the earliest Diamond Bar settlers on January 30. 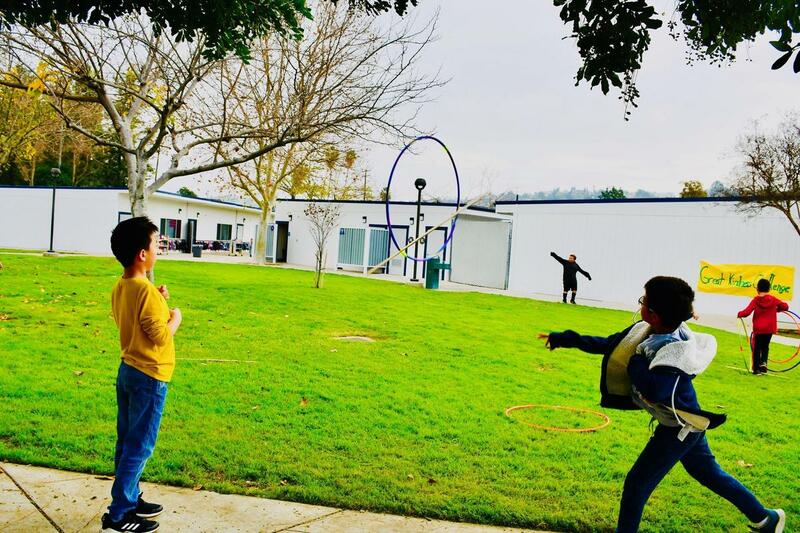 During Rancho Days, students had a chance to craft dreamcatchers, design coil pots, sample homemade tortillas, dip wax candles, and play traditional games and dances of Native Americans, and Spanish and Mexican colonists. Staff members and parent volunteers lead a total of eight rotating morning activities. 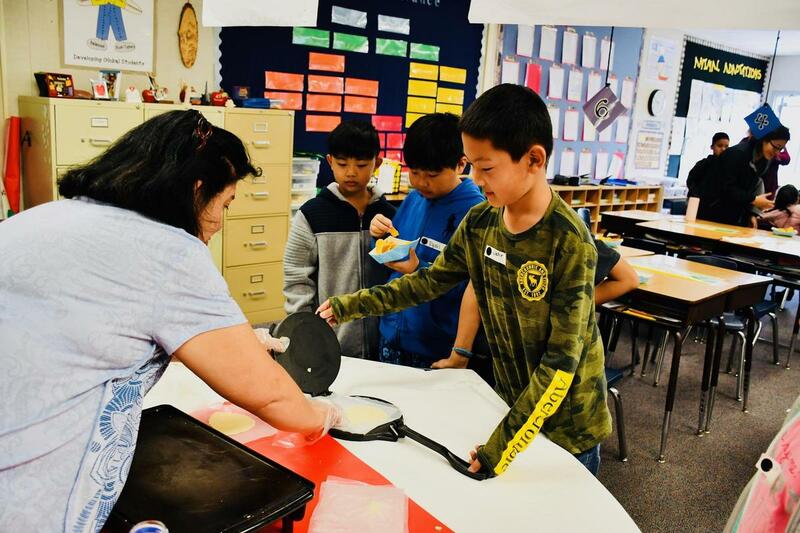 Special education instructional aide Anna Gonzalez assisted children as they flattened balls of prepared masa in a traditional cast iron tortilla press. Next, she grilled them up and added a dollop of creamy butter. “Mine’s almost perfect!” exclaimed Justin Zhang before sampling a fresh round of the warm flatbread. 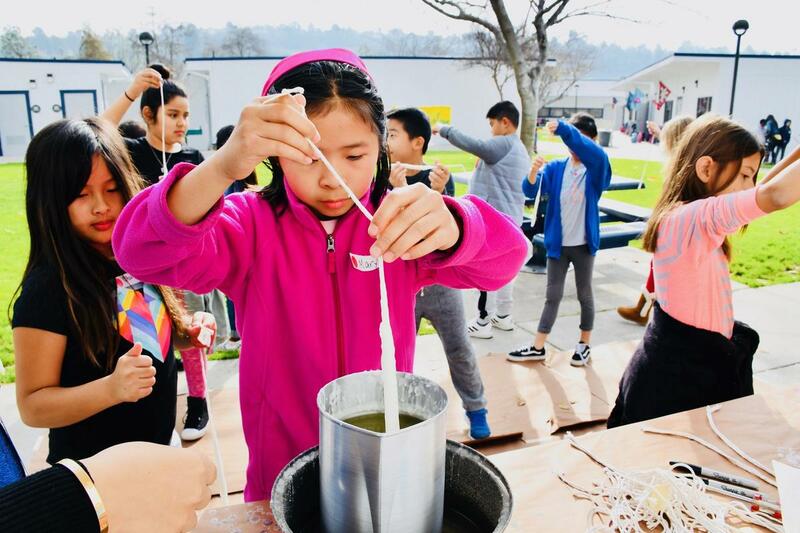 At the candle-making station, students lined up to take turns dunking long wicks into pots of melted wax. “I’ve already dipped mine ten times!” Hunter Raine said. “This might have been your job during the day if you lived on a rancho,” teacher Michelle Boots told the children as they admired the work. Students took their best aim during the hoop and stick game used by the Native Americans to practice hunting skills. 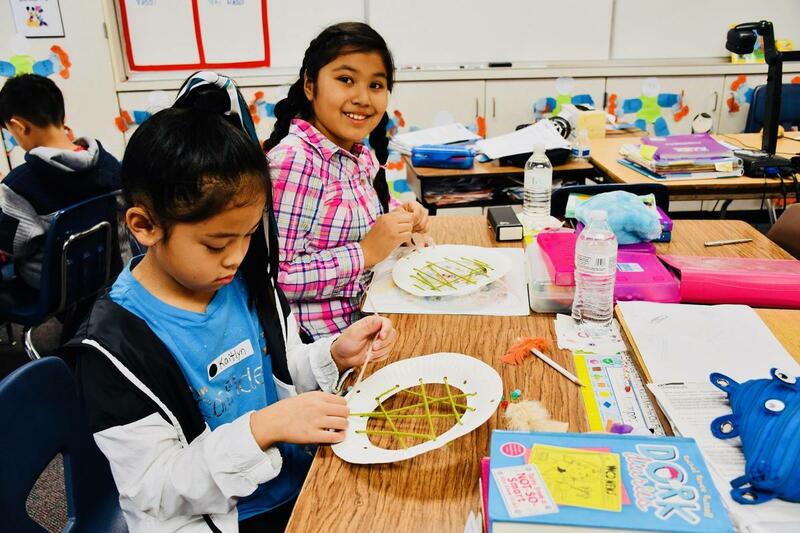 At another classroom station, they fashioned simple dreamcatchers out of green pieces of yarn with beads and feathers on paper plates. “We made our own designs and I got the Mexican colors for feathers – green, white, and red,” exclaimed April Hernandez. “They catch all your bad dreams and send out good dreams instead!” shared Charlotte Tecson. 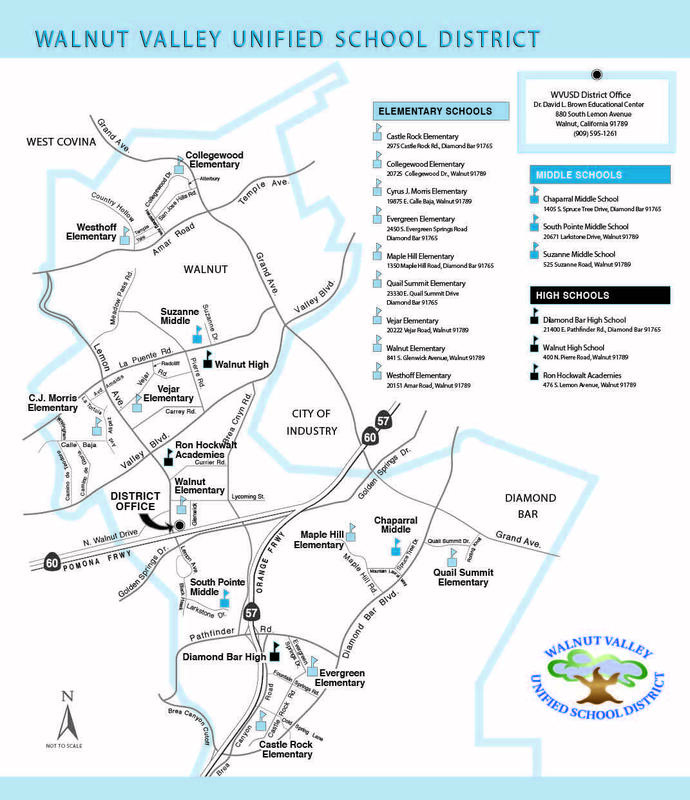 “This is such a fun way to bring history to life,” Boots added. 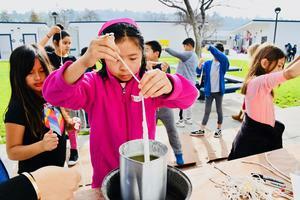 Castle Rock Elementary third graders learn about Diamond Bar history with Rancho Days activities on January 30.